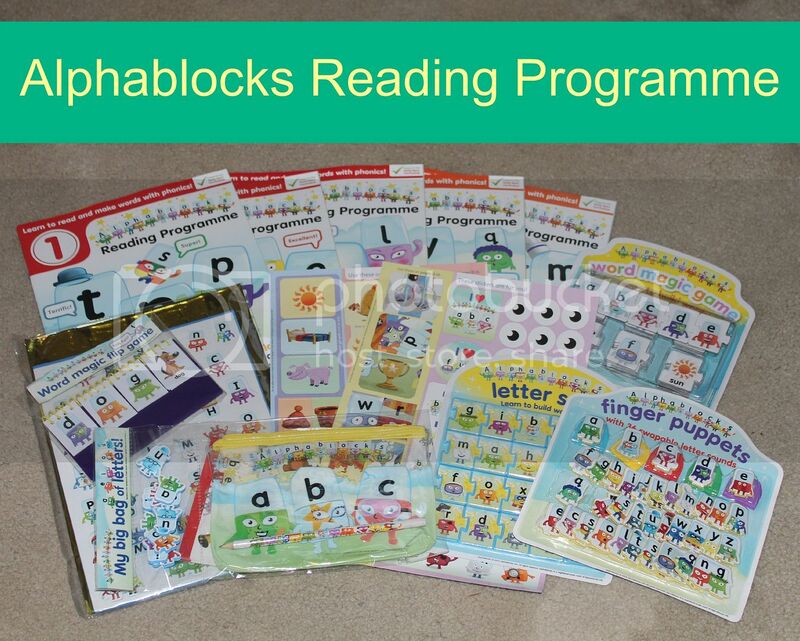 The boys have always enjoyed the Alphablocks so I was keen to review the Alphablocks Reading Programme with middle man. He is 4 years old and has just started reception. 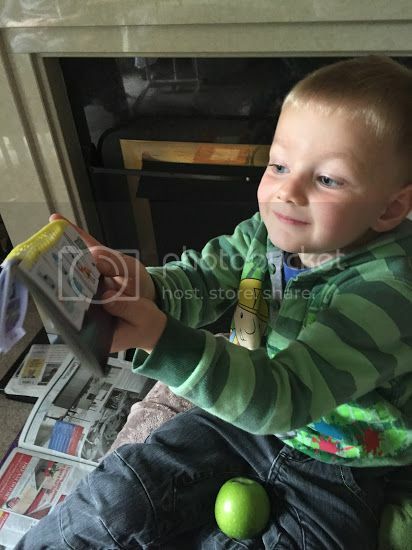 I knew from big man that the school used their DVD's so thought that reading programme might help with learning his letters and sounds. The Reading Programme consists of 3 packs that are sent out with a cost of £39.99 plus postage and packing. We have only recieved the first pack which is pictured above. As you can see there is a lot included. There are various different letter tiles, flip book, pencil case and 5 magazines. The magazines have a variety of activities to keep the child engaged. There are games, stickers, and cutting exercises that help with building fine motor skills. I really can't tell you enough how much middle man has enjoyed this. He has asked if we can get his work out! The only negative I have about the set is that the letters are not cursive. 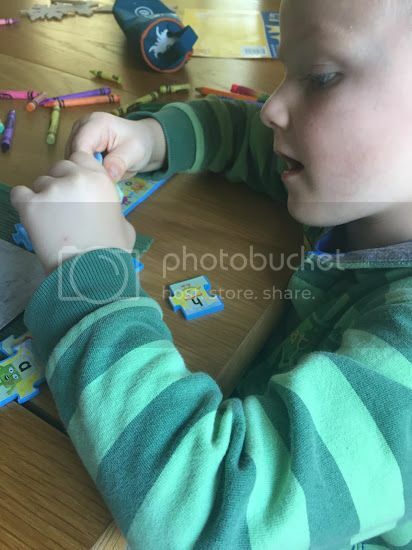 This is slightly confusing for middle man as his school teach cursive, however, he is so keen on the variety of tasks, it isn't a major issue. When we visited my inlaws this weekend we took his reading programme with us. He enjoyed playing the flip spelling game and then we went through some of his magazine. It kept his attention for an hour! Middle man has a good concentration span, but I never would have thought that he would be engaged in such tasks for an hour and I think that this just shows what a variety of tasks there are in the programme. Middle man particularly likes the sticker pages and loves getting a gold star when he completes each page. I will be updating you on my views as we receive the second and third boxes, but for now my opinion of the programme is extremely positive. If you are looking into purchasing the programme or finding out more just click here. Or second batch arrived and it continued to have great magazines to keep middle man interested. There were no toys in this batch though. The only downside is finding time when middle man is at school. I would therefore recommend this to a child who is about to start reception. We have recieved the reading system for the purpose of this review but the opinions here are my own. I have used this with my youngest son, and it really helped him! It was recommended by his nursery too! It's great that this is so interactive, they're learning all the time whilst having fun, the easiest way! looks brilliant my eldest would love! Great. My son would love this. 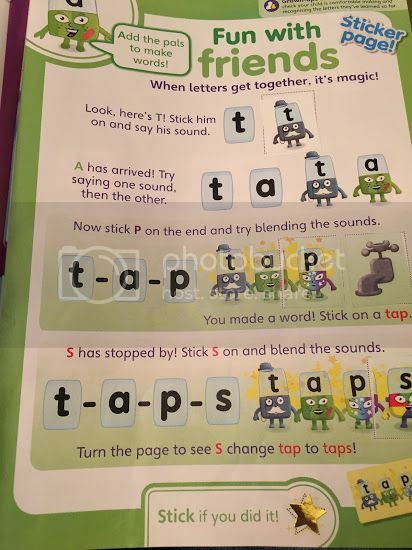 This looks great - my son is learning letters and this looks ideal! 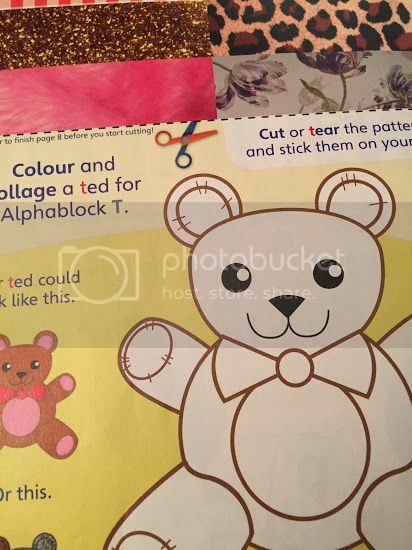 love alphablocks they are really good! Where can I get this? That's fantastic! Absolutely love Alphablocks. Our nearly 23 month old just sits glued to the tv when it's on - she loves it and even joins in. These look fantastic. I will tell my daughter-in-law about this as my grandchildren would enjoy them.